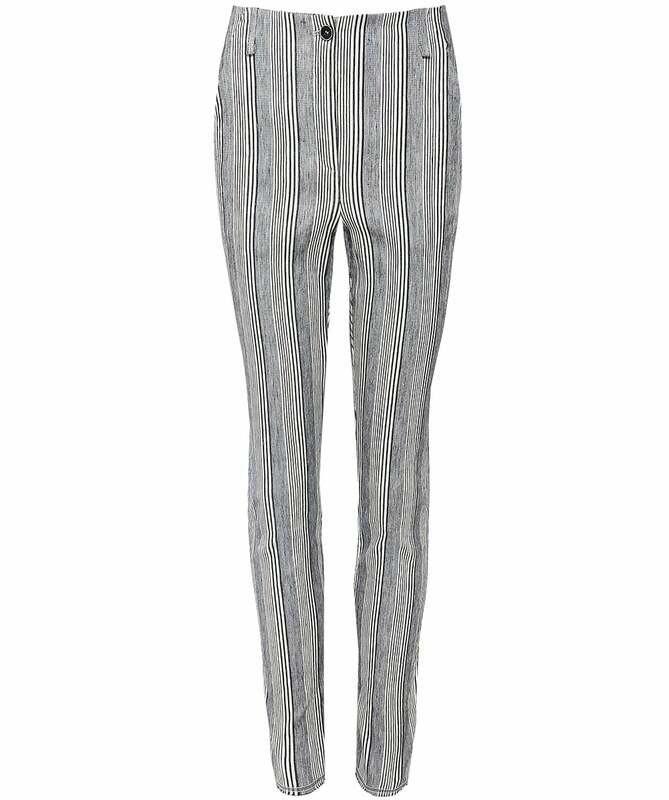 Crafted from a linen blend, the Annette Gortz Leroy stripe trousers are ideal for both casual and formal occasions. Featuring a button and zip fly fastening, two side slant pockets, belt loops, a raw hem and stripe pattern throughout for a textured finish. Wear yours with a button down blouse for a transitional day to night look, or with a basic tee for a casual weekend style.